Towards the end of March, I had the privilege of attending the US premiere of the 2015 animated adaptation of Kahlil Gibran’s The Prophet at the New York International Children’s Film Festival (NYICFF). The screening took place at the SVA Theatre on 23rd street, which gave me a chance to stop in and visit SVA, where I am a part-time MFA computer animation student. Finally attended the NY International Children's Film Festival this year. Saw (and enjoyed) "The Prophet." I have been following this adaptation of The Prophet for a while now, honestly in shock that such a film was even rumored to exist. When I first learned of it, it just sounded too good to be true: it is a (mostly) 2D animated feature length film, with contributions from eight of the world’s leading indie animators, and it tackles subject matter with a lot more depth than slapstick. I was so pleased that Salma Hayek was seeing this through. At times, I did find myself admittedly wanting to fast-forward through the main story, just to get to the smaller inserts done by the indie artists. Each one offered something new both stylistically and in the way they visually conveyed the more mature sentiments of Gibran’s poems. Although the overlying story was interesting in its own right, there was much to be desired for me. The cel-shaded CG was a bit awkward for me visually. Similarly, some of the gags involving minor characters (particularly the seagull and bumbling guard) seemed forced. Ironically, the children I ended up seated next to disliked the inserts and I was treated to an audible sigh (“Another one! ?”) as each one began. After the screening, I overheard the father discussing with his children, asking what they didn’t like about it. The older of the two (with approving nods from the younger) stated that the short animations kept distracting them from the main story, and that they were too wordy, which made it more difficult to follow along. As a child, I know I would have preferred the varying segments over the overall story, but I also know that the depth of those segments would have been lost on me. I am not going to go into the shorts any more, as I’d like to watch the film once more, as well as give other people a chance to see it for themselves in theaters before reading any sort of deconstruction. And–in case it was a concern–this film does touch a tiny bit on God, particularly during a couple of the inserts. But I never felt like it was being thrown in my face. The beautiful thing about the words of the prophet is that, regardless of religion, they are universal truths and experiences we share by simply being human. I highly recommend seeing this film. Go see it on the big screen, support dream projects like this, support the indie artists and this beautiful collaboration. Support 2D animation–an animation that asks a little more of its audience–that calls attention to the freedoms of expression we often take for granted. Celebrate the wisdom and words of the prophet. GKids has announced that the film will hit New York City and Los Angeles theaters on August 7, with a US and Canadian rollout following after. 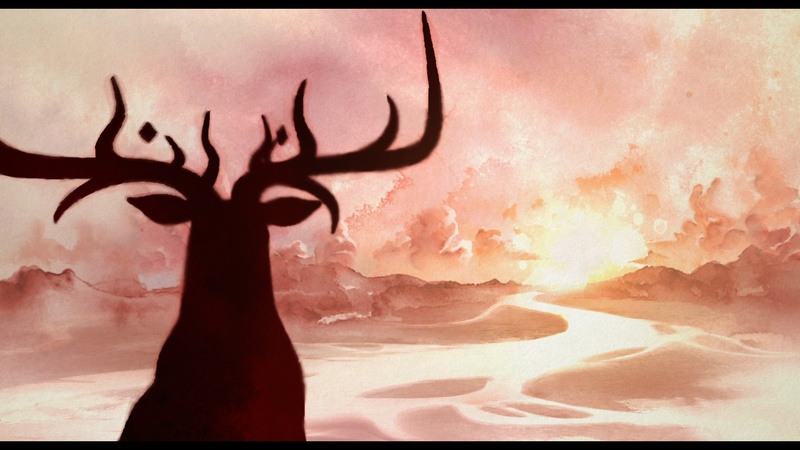 This entry was posted in Review and tagged 2d animation, animation, independent animation, nyicff, the prophet. Bookmark the permalink.